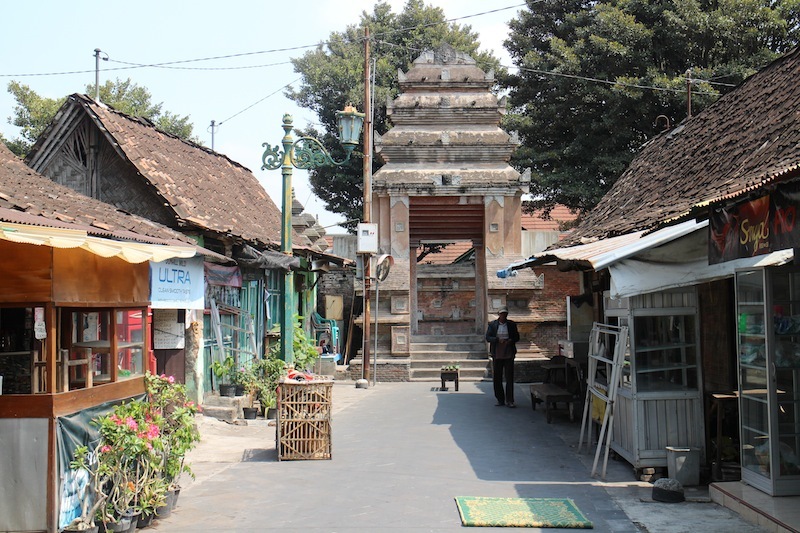 Kotagede Heritage District in Yogyakarta, This is What You Should Know! When you plan to visit Yogyakarta than you should consider about Kotagede heritage district, it’s special region in the south of Yogyakarta that has tons of historical story about how this city come from. Today I start my scooter engine and ride it to Kotagede which is about 9 km from the city center Malioboro. It was sunny day even I got a headache once I arrive at home but I’m so happy that I’m back with beautiful memories about Yogyakarta kingdom and why the government make this region is so special. When I reach the Kotagede entrance gate than I feel this city move so slow and I just feel like home, every people are doing their daily activities which is doing the silver crafting and go to the market for Pasaran Day, it’s a special day where majority of locals will visit market. I just met a nice parking man who show me the way to the great mosque or Masjid Gede Mataram Kotagede where I should belong to for today trip. As I know before that Yogyakarta tradition has a big influence with Hindu even all the moslem leader on that period spread Islam with Hindu tradition to interact other to joining Islam way. Before I continue this story I want to let you know about basic things that you should know before visiting Yogyakarta, it just a simple thing but hope it helps you to figure out how to go to this amazing city. I often see that some foreigners pay visa on arrival in the Adisucipto airport, if you live in a country around Southeast Asia than you able to visit Yogyakarta in free visa. No matter where you come from than I still recommend you to check Indonesia’s visa requirement before your arrival. There are hundreds of nice hotel in this city, here you can choose from the B&B, guesthouse, and for sure these best 7 five star hotel in Yogyakarta, but if you don’t stay for longer than I suggest you to choose hotels which is close to the city center. We do have Go-Jek, it’s seems like Indonesia’s Uber and definitely more famous than the others, go download it on Andriod store or IOS. Other cheap transportation is by using Trans Jogja, it’s a flat rate (IDR3.600/trip) bus that covered Kota Yogyakarta district only. But if you focusing on simplicity than rent a scooter or car with recommended driver is the best choice that I can recommend for you. 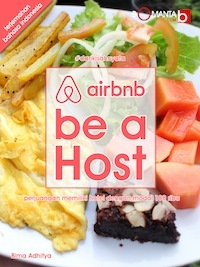 I live in Yogyakarta over than 20 years and let my house as an Airbnb unit called Boma House, so I know little bit about what my past guest bring on their bag or even I can suggest you with some recommended things to have on your bag. I wrote about Yogyakarta travel essentials than you can consider before visiting my town. This complex is located in Dusun Sayangan RT 04 Jagalan, Kecamatan Banguntapan, Bantul Yogyakarta. As you can see below that there is a big tree called Beringin that belong to typical or special trees in Yogyakarta, you will see this tree in such special places like Alun-Alun, Presidential Palace, and Sultan Palace. Lately I know that this great mosque is in one single complex with Makam Raja-Raja Mataram or King;s cemetery of Yogyakarta. Generally it is a simple ‘kampong‘ where the local lived by, most of people surrounding this complex is live by selling traditional Javanese clothes called Surjan, selling food and snacks, and selling some other tradition apparels such as blangkon (the hat) and batik fabric. All the houses inside this kampong are look nice with their own local architecture, thick wall with natural cross ventilation system. Now I walk into the ancient gate made from brick stone with Hindu style which is bring me to the mosque, just few meters from where I stand, there are some Americans who also coming to this place this afternoon. Once I saw the mosque than I could say that everything about Kotagede heritage district were so special and it was amazing! If you a person who love history than you MUST come here! Kuncungan – it’s the main access to go to the mosque with kampong style roof with two pillar that made from the brick stone. Don’t stop here and keep walking, if you see the left side there is a way to go to the Kind’s tomb complex where the Yogyakarta founding father buried. Some of the famous name are Ki Gede Pemanahan, Panembahan Senopati, Panembahan Hanyakrawati, Sri Sultan Hamengkubuwono II, and Pangeran Adipati Pakualaman. Here you will see some photos that represent all the beauty of great mosque and some area before the Kind’s tomb. I uploading this photo in high resolution and once you love and want to use it both for commercial or editorial than you can buy it on my Shutterstock. I continue walking to the King’s cemetery complex but so sorry I got no picture at all cause it is restricted complex and I don’t wanna do some stupid things inside. If you willing to entering the tomb’s complex than you should rent a traditional clothes both for Men and Women which is cost of IDR35.000/person. Here you must walk in a bare foot just like what Abdi Dalem did (this is the Tomb’s guard), but trust me it gonna be interesting by wearing that clothes, it looks so locals! Look at my picture below and see some foreigner behind me…if you are female than you have to release all your clothes and change it into Kemben, it’s traditional clothes for female, and you can do it too! Visiting great mosque in Kotagede heritage district is truly worth it to do, highly suggest you to put it in your travel lists. Some tips that I can say is just prepare your money in a small amount, just prepare for IDR5.000, IDR10.000, and IDR20.000 because there is always a donation that the guard ask you to pay. All your payment will also help them to keep this complex in a better way, as I know they will clean up this cemetery twice a week which is on Monday and Thursday and they will put a fresh rose flower on Friday. Go to the white sand beach in Gunung Kidul – If you willing to see the beautiful beach in Yogyakarta than don’t go to Parangtritis but take some car and drive it for about 2 hours to Gunung Kidul area, it’s about 40 km from Yogyakarta but the view will be so majestic! Travel Scam in Yogyakarta, Be Aware!!! Just be light traveler, in case you just an ordinary traveler than having your tiny camera such as mirrorless system like EOS M family and Sony Alpha 6000 will be your best things to bring. Try to have a wide lens to shoot the cityscape and landscape, and if you have another budget than having a JOBY gorilla pod on your bag is also amazing, yes you can put your camera almost in every single pillar in this town. Will you visit Kotagede heritage district too? Have you ever visit Kotagede before?